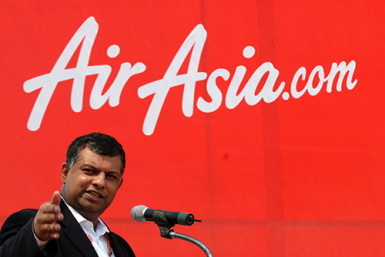 Datuk Tony Fernandes, CEO of Air Asia. That’s what I’ve learned from one of the internet marketing seminar that I’ve attended in Penang. 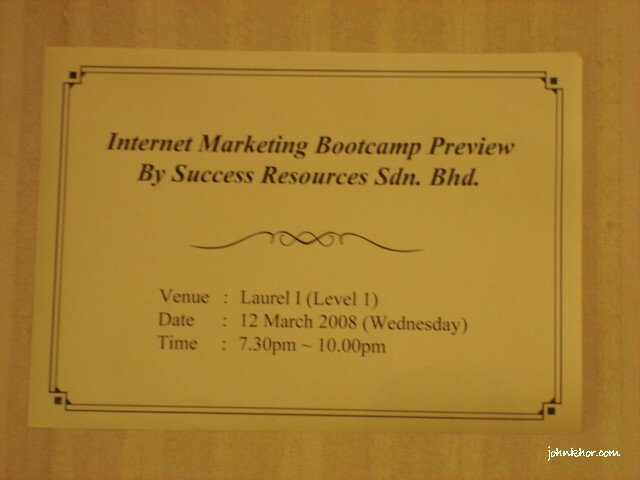 Fabian Lim’s Internet Marketing Bootcamp Preview by Success Resources @ Evergreen Laurel Hotel. Registering for a better future. better future? A beautiful MC from Success Resources, introducing Fabian Lim, Singapore. The person who conducted this seminar was Fabian Lim, one of Asia’s leading web marketing consultant today. Certified in Advanced Search Engine Marketing. Top SEO Placement (awarded by Search Engine Workshops). Creator of AdWords Empire, the most comprehensive AdWords Affiliate Marketing system ever developed. Author of Keyword Research Mastery and Chief Marketing Officer of TheDowser Keyword Software. He is currently Chief Executive Officer of Asia Internet Academy, Asia’s LARGEST internet training organisation – with staffs and offices in Singapore, Malaysia, Indonesia and Japan. John & Fabian Lim, the Internet Marketing Guru. He encouraged us to dare to dream for all the great things in this world come from great dreams. So let’s dream Great Dreams. He’s is currently holding an airplane license. And he is currently aiming to earn USD$ 1 million to buy his dream airplane. My, my, ain’t this dream BIG? And what’s more motivating? If I’m not mistaken, he is just in his early 30s… Can you believe it? So, it’s time for all of us to stop and think and more important to dream again about what kind of lifestyle that we want and how will we achieve it. That is also why this blog is for. This is the blog for all the wealth creators to meet and discuss on how to increase their wealth from multiple streams of incomes, be it business opportunities, franchise, property, stock options, unit trusts, internet marketing and many more. After listening to him for almost 2 hours++, I’m hooked. Internet Marketing is very happening and I’m not going to miss it. I signed up his course. I’m interested in learning more about wealth creation skills. I’m hopeful to create more stream of passive incomes. And I am also hopeful to meet more people who are interested in wealth creation. Let’s make our dreams come true! Anyone interested to know more or discuss about the Fabian Lim’s Internet Marketing Bootcamp, please leave your comments. 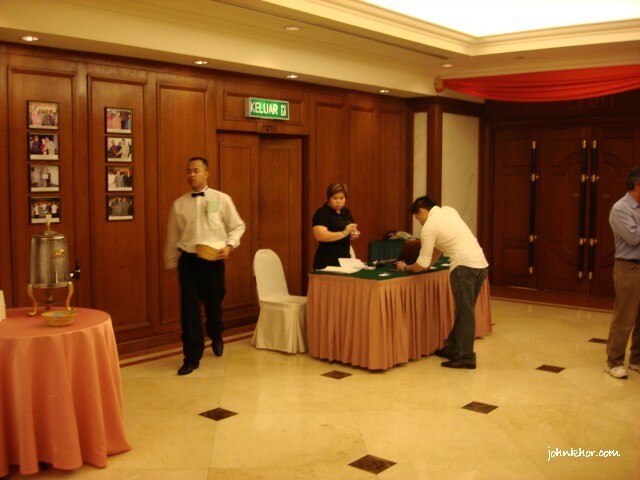 P/S: This is one of the 1st few blog posts that I had posted in my blogspot.com blog. This is was on 18 March 2008. Will update about this post later. That’s why I moved the post to here. 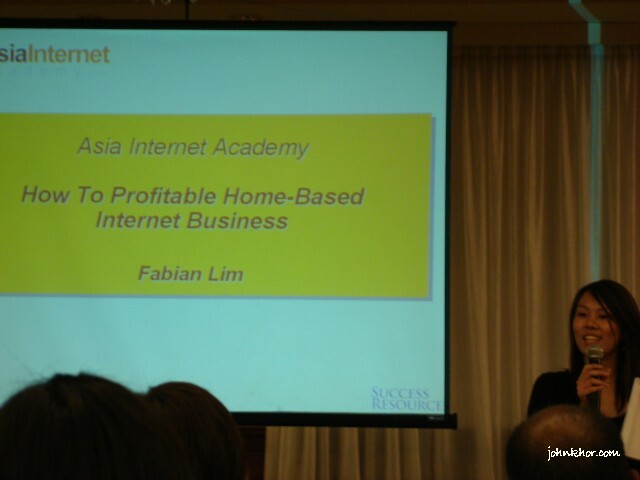 how was the internet marketing course by fabian lim? was checking him out after getting to know about him in a seminar. what did you learn in your course and was it worth the money? are you still using it today? did you manage to generate income from it? would love to hear from you. drop me an email ya! PLease let know about your experience in the seminar and if after 3 three you are still able to use it and make money out of it.Is it worth the money we pay for the course. My e-mail is is csweths@gmail.com. Can I know what do you think about his course? I would really want to sign up but the price is hefty and I want to know what I am getting myself into. I am not sure what are the changes to his course but this course is not up to my expectation at that time. Can I know what are the topics that he covered in the course you have attended earlier? Are you able to create a webpage that rank in google page one and still in page one now? Hope to hear from your reply soon! Very simple topics. Yeah. Managed to do so but not with his help or guide. Cannot be there on the top page for long. Google Panda and Penguin killed my page rankings. 1) How Fabian cover the topic on S.E.O? He just touch and go or he do go into great details about it? 2) After attending his class, do u manage to put the knowledge you learned in use and generate good money consistently as what he preach? 3) For what he covered in class, is the information (Just some sort of general preview) that’s easily we can research from google or it is something technical and require some expertise to do the explanation? Thanks for visiting my blog. He covered quite basic stuffs. And some quite common sense stuffs. Many things can be googled. And I didn’t manage to generate a lot of money from what he had taught me. Some of the problem is I didn’t apply much of what he had taught me but I am very sure that the 1st day and 2nd day, he practically wasted my time with a lot of basic stuffs such as registering for hosting, domain name and so on. I managed to learn from another guy for FREE and earn back my course fee that I paid to Fabian Lim. This thing is quite subjective. I can’t say much. Hope this info can help you? Hi, no problem. Nope. I don’t know anyone who attended his SE) certification class. Sorry that I can’t help. Hi, I am interested with Fabian’s workshop?Can I know how much did u pay for the 3days course? Who are the mentor after Fabian that let u to earn back the money for his course? Hi John, I am very keen to sign up for his workshop but I’m still quite skeptical about it. I already know how to register domain and hosting and I definitely do not want to waste my time and money on this. Would want to learn more bout the internet marketing techniques instead. U mentioned that u managed to learn from another guy for free. Can you pls share with me more about it before I throw in my savings to sign up for the workshop? My email is cheriesl@hotmail.sg.